This is a NEMA 17 Stepper Motor with 6 pins JST connector. 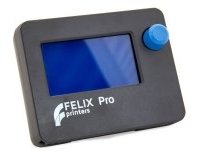 It is compatible with all FELIXprinters and this type is used since the release of the FELIX 2.0. The NEMA 17 Stepper Motor can be purchased with or without the cable. The Stepper motor is used since the release of the FELIX 2.0. 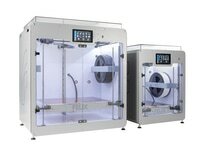 At this moment the Stepper Motor is compatible with every FELIXprinter. The 1.5 meter of wire is optional. 1.5 meter wire (optional) 6pins JST connector D-shaft 40mm long Compatible with the FELIX TEC series, 3 series and Pro series.